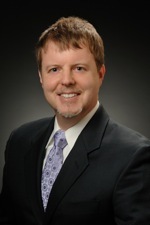 Cary Wiggins is an AV-rated attorney specializing in civil-rights matters. He graduated with a B.S. degree in Business Administration (Finance) from the University of Florida in 1993. In 1997, Cary earned his J.D. degree from the Mississippi College School of Law. While in law school, he worked for the Mississippi Attorney General's Office and private law firms, where he represented a variety of clients including municipalities, government actors and private citizens. Cary completed law school at Georgia State University in Atlanta where he maintains his practice. Cary is a member of the First Amendment Lawyers Association, a not-for-profit association whose membership (of about 180 attorneys) includes some of the most prominent First Amendment attorneys in the United States. Many of the U.S. Supreme Court's decisions in the last 30 years involving censorship issues have been briefed and argued by a FALA member. Membership is highly selective, and is limited to attorneys who devote a significant portion of their practice to securing, advancing or defending First Amendment rights. Recognizing Cary's expertise in this field, organizations like the Adult Entertainment Expo and the Georgia State Bar have invited him to speak about adult entertainment litigation. Cary is also a contributing essayist to the Encyclopedia of the First Amendment. Cary is an experienced litigator in alcoholic beverage matters as well. As a member of the American Bar Association's Administrative Law Section, Cary serves as Chair of the Beverage Alcohol Practice Committee. He has been a contributing writer to the ABA's Developments in Administrative Law and Regulatory Practice for the past few years. He has counseled clients from airlines to sidewalk cafes on legal matters relating to alcoholic beverages. He is also a frequent contributor to Atlanta's nightlife periodicals on alcoholic beverage laws. The Fulton County Daily Report picked Cary as one of "14 Under 40" in Georgia that were "On The Rise" in 2006. He has also been featured by Law.com and the Atlanta Business Chronicle as "rising among his peers." Cary has appeared on a number of television and radio spots in high-profile litigation, some of which are accessible from his award-winning blawg, Meeting the sin Laws. Cary is admitted to practice law in all Georgia Courts (trial and appellate) and in the United States Court of Appeals for the Eleventh Circuit. He is also admitted in the District Courts for the Northern and Middle Districts of Georgia and the Northen District of Florida. Born in California, Cary traveled the world as an Air Force brat before attending law school. He remains an enthusiastic traveler, whose hobbies include reading, music and sports.